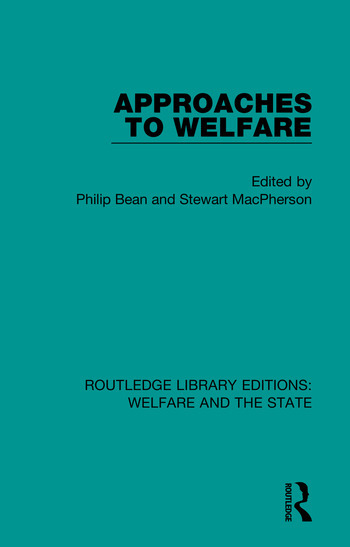 Originally published in 1983 Approaches to Welfare provides a unique introduction to the study of social welfare in Britain. The contributions, by distinguished figures in the field of social welfare and social policy, explore all the dimensions of the study of social welfare demonstrating that not only have social policies changed in the forty years since the establishment of the welfare state, but so too have approaches to their analysis. The contributors consider these changes in relation to a wide range of social welfare issues, illuminating the diversity and variety within the contemporary study of social policy.